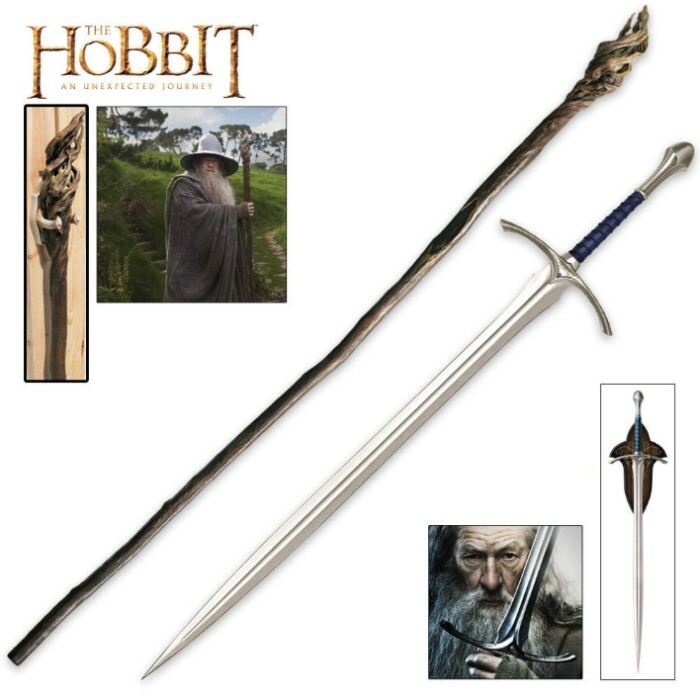 The Hobbit Gandalf Staff and Glamdring Sword Collectors Combo | BUDK.com - Knives & Swords At The Lowest Prices! United Cutlery, industry leader in fine movie reproductions, has meticulously recreated the props using only the finest grade materials and craftsmanship. Close attention to coloring and detail was a top priority. Now you can own Gandalf's sword and staff, with one purchase! 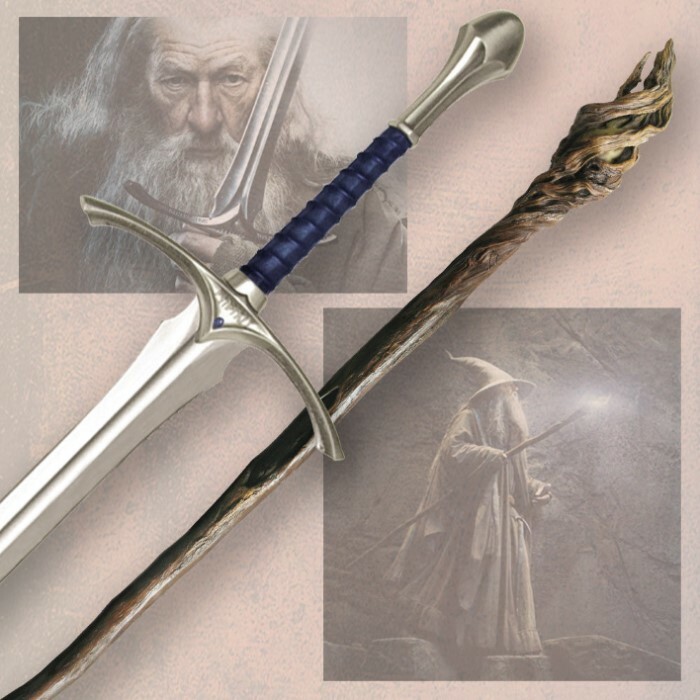 This Gandalf Collector set offers up authentic replicas of Gandalf's staff and Glamdring sword. One of the most powerful Wizards in all of Middle-earth is Gandalf the Grey. Wow I know what I want for Christmas!